This wine is their first tier Pinot Noir. A gift from S.
In the mouth, a lighter-weight wine with moderate intensity and fine tannins. A raspy acid line on attack. Black cherries and a bit of herbaceous leafiness on the back palate. Medium length. 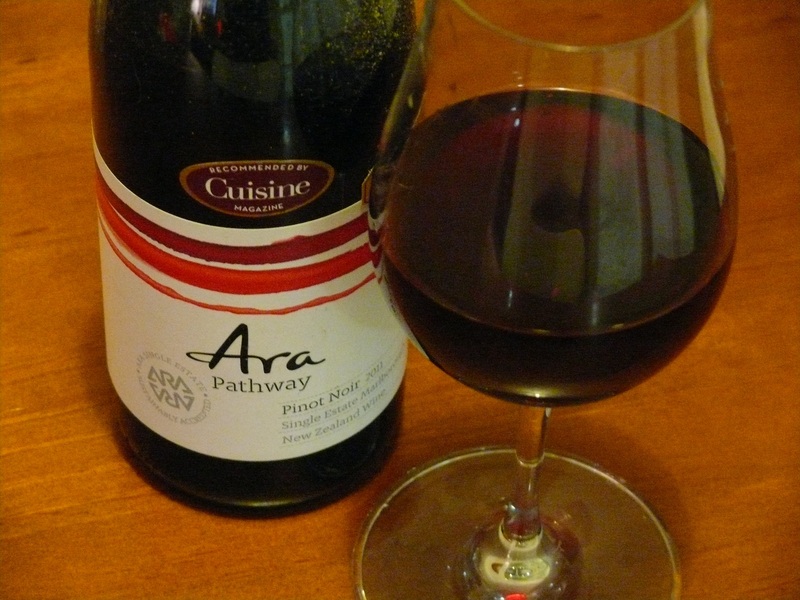 This entry was tagged 13.5%, 2011, 3, Ara Wines, BTG, From the Cellar, Marlborough, Pinot Noir, Wine of New Zealand. Bookmark the permalink.